A real estate professional in St Michaels recommended Janet to me, and now I know why. Before we even agreed to work together, she had secured the public records on our house and confirmed the depth of the creek near our house. More than any other agent I interviewed, Janet had done her homework. Just as important, she understood and appreciated the features that made our property attractive. She highlighted these features on a website with a perfect description and stunning pictures of the property. Janet also placed a newspaper ad that attracted a buyer within a week. "She priced the house perfectly," another agent said to me. Janet is good at what she does, and she's a pleasure to work with. She listens, she knows the market, and she can seemingly handle any problem that arises. Nothing seemed to throw her; she calmly coached me through each new challenge. I felt as though I were her only client, though I know she had many others. That's how professional and reassuring and responsive she is. At our first meeting, I told Janet I hoped not to have any regrets about selling this property, and, thanks to her, I have none. Instead, I am grateful for her guidance and for the time I spent working with her. "I do want to take a moment to thank you especially for your referral of Janet Larson of Benson and Mangold Realtors in Easton. She is not only an amazing and accomplished person, she is also absolutely the best realtor Joe and I have ever had the pleasure of doing business with. At every single stage of the house sale--the preparation, marketing, selling and settling of 513 Pleasant Place--Janet went way beyond the norm. Both Joe and I have purchased and sold several houses in our lifetimes, but of course never under these conditions, and Janet not only understood the circumstances that both sorrow and long distance brought to the situation, but she was always caring, always focused on our needs as well as the house, and there was nothing we could have wanted or needed that she did not provide. As a result, and beyond all odds, Janet was able to sell an "as is" house in a fairly depressed market, with lots of competition--all at a very fair price. A consummate professional, Janet didn't miss a single detail, taking every opportunity to show the house at its best, providing her own "extras" as needed...She turned a sad and difficult time and task into the most positive experience possible. 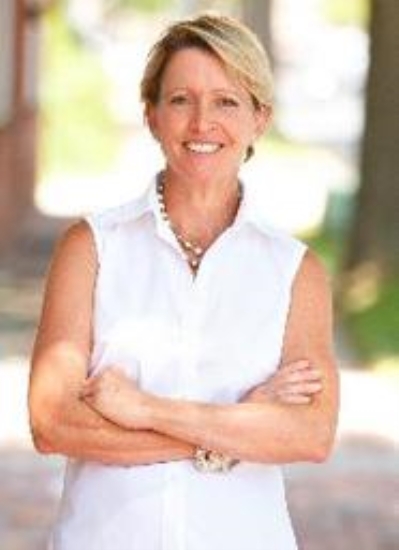 Please let Joe and me recommend Janet Larson to anyone who needs a realtor in the Easton area. There is no one better." "Janet Larson found us our new home in Easton, and we’re thrilled with the home and with Janet. Janet listened to us and developed a fine sense of our priorities. She was extremely effective in identifying homes we’d like. She spent a lot of time with us during our six-month search, showing us a variety of homes and sharing with us her detailed knowledge of Talbot County real estate. More importantly, she gave us an appreciation of the key drivers of long-run value. She was candid about the pros and cons of every home, looking at homes from our perspective. Janet has terrific contacts on her own and through the Benson and Mangold team. She found a very special property for us before it came on the market and we moved quickly to make it our own. She was a big help in the bidding process. She knows what it takes to get a deal done and she’s an effective negotiator. It was reassuring to have her on our side. We’re grateful for Janet’s help even after we signed the contract. She made excellent suggestions for everything from caterers to contractors. We trust Janet completely. Every step we’ve taken with her has been a success. We recommend her without hesitation to friends who are thinking about Talbot County real estate." "After being on the other side of the settlement table on a commercial real estate deal involving Janet, I knew that she would be my choice when it came time to sell my home. She is extremely organized and thorough. Janet went above and beyond in her efforts to market my property. Her tireless efforts paid off during this every difficult market. She listened to my concerns at every stage, and adjusted her strategies to fit my needs. The local Mid-Shore is full of part-time Real Estate agents. Don't be fooled by imitations. Janet is the REAL deal. I would recommend Janet to anyone--only if you are serious about selling your home!" As a former Project Manager in home construction I have seen and dealt with the many different skill sets of various Real Estate Agents. Without a doubt Janet is the complete Professional whose record of home sales speaks for itself. Janet is dedicated, honest, knows the market (especially asking price of what will sell), and will do everything to get your home sold. Janet came referred from a friend who sang Janet's praises...I'm so happy in this difficult time for housing that I had the best t Representative on the Eastern Shore to help my wife and I sell our house…I wish Janet worked here to in Pennsylvania to help us find our next home. If you are serious about selling, and want your home out in front of everyone else's, go with the best…choose Janet Larson to represent you. You will at the first meeting see true Professionalism on display! "Having worked with Janet Larson on numerous projects I’ve found her to be a truly competent advocate for my interests. She is the consummate real estate professional. Janet has never failed to exceed my expectations with thorough research, knowledge and solid logic, pertinent and timely advice and dogged determination to have all my questions answered completely, providing me what I need to make the best decisions. Due to her concentrated efforts and excellent communications I find it hard to believe that I am not her only client. I know it’s true, but I can’t help but wonder; could she possibly be achieving this high level of service with more than one person at a time? It’s a rare thing to find Janet’s dedication and discretion in any profession, let alone the competitive world of real estate. With confidence I would highly recommend Janet Larson to anyone seeking the very best in a real estate professional." "After buying two houses and selling one (which she sold in less than 14 days!) with Janet Larson, we just can’t say enough about her…we think she is fantastic! Several years ago, my husband and I came to Easton without knowing a soul. We had the incredible good fortune of being referred to Janet for our home search. She really listened to our desires, helped us understand the various area communities while also getting to know us better and directed our focus to the neighborhoods that best suited our needs. It didn’t take long for us to find a home with Janet at our side! Later, when we voiced our desire to move to a bigger home on a specific street, Janet didn’t forget our wishes. A year after we expressed our dreams, she contacted us with the details about a house, not even officially listed yet, that she knew would exceed our expectations…and that is where I am writing this testimonial from right now. We couldn’t be happier! does not know the answer to an inquiry, she does not make the all-too-common mistake of speculating. She admits that she isn’t sure and then is always certain to get back to you with the correct answer in a very timely manner. This is one of her finest traits: her commitment to disseminating correct information in an honest and forthright manner. What strikes us most about Janet is her professional, principled and detail-oriented disposition. Her organized approach ensures that no one’s time is wasted. Five minutes with Janet and you know she has unmatched integrity, client loyalty and a deep knowledge of the local market. She is “on the pulse” of Talbot County real estate and has a great understanding of where things are and where they are going. We truly value Janet’s insight and advice as she has yet to steer us wrong!"